On the surface, the first Saturday in December looks like a slow day of racing, with only a single graded stakes race—the $200,000 Bayakoa Stakes (gr. II)—on the agenda. But if you dig a little deeper, you discover that Saturday is also opening day of the Gulfstream Park winter meet, which brings with it the running of the Claiming Crown. Throw in some nice multi-stakes cards at Laurel Park and Tampa Bay Downs, and a couple of group IIs in Japan for those that enjoy international racing, and Saturday promises to be a more memorable day of racing than it first appeared. So let’s start handicapping! Only six fillies and mares have turned out for this 8.5-furlong race, which is being run for the first time at Los Alamitos Race Course. On paper, the race looks like a two-horse battle between Yahilwa and Tiz Midnight, although determining which will come out on top could be tricky. Their respective merits are obvious. Yahilwa, trained by James Cassidy, has had an extremely busy season with eleven starts under her belt since January. Remarkably, she’s showing no signs of slowing down at the end of her year, having won a one-mile allowance race on October 29th by 3 ¼ lengths and the $200,000 Treasure Chest Stakes on November 22nd by 2 ¼ lengths. In addition, she finished a good fourth in the Zenyatta Stakes (gr. I) three starts back. One of her strengths is versatility, as she is equally effective setting the pace or coming from several lengths off the pace. But although Yahilwa warrants great respect, I’m leaning toward Tiz Midnight for the top spot. Trained by Bob Baffert, Tiz Midnight required four starts to break her maiden, but finally did so in impressive fashion before winning a pair of one-mile allowance races at Del Mar. She then stepped up to grade I company in the Zenyatta Stakes and gave two-time Eclipse champion Beholder quite a battle, setting a moderate pace before staying on gamely in the homestretch to be beaten just three-quarters of a length. Last time out, Tiz Midnight finished a distant sixth in the Breeders’ Cup Distaff (gr. I) after setting the pace, but she never got a breather that day while being pressured by Iotapa, and seems likely to rebound while dropping in class to a race without any other definite front-runners. Throw in the fact that she beat Yahilwa fairly and squarely in the Zenyatta, and that she has been rested since the Breeders’ Cup, and I think you have a winning combination. For rounding out the exotics (even with just six horses, there will be a superfecta! ), Legacy might be worth a look at a bit of a price. She has run very well in both of her starts at Los Alamitos, and her last seven starts on dirt have yielded three wins, two seconds, and a third. Her form has been muddled a bit by a couple of efforts on turf and synthetic, so the return to dirt—and the return to Los Alamitos—might yield better results. Valiant Emilia, a Peruvian-bred mare that ran eighth in the Breeders’ Cup Distaff in her U.S. debut, might also be in the mix. In the Breeders’ Cup, she flashed early speed before steadily retreating to finish well back, but should find the competition much easier today and might respond with an improved performance in her second U.S. start. 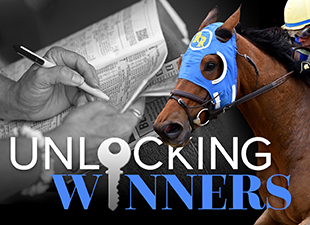 The Claiming Crown, a group of eight stakes races worth a combined $1 million, offers a chance for claiming horses—both those that have risen from the claiming ranks to become stakes winners and those that still compete in relative obscurity—to shine on a national stage. And with fourteen or more horses entered in six of the races, it offers bettors a chance to dig deep for overlooked longshots that can win or hit the board at terrific odds! I haven’t taken a close look at the races yet, but a preliminary glance at the nine-furlong, $200,000 Claiming Crown Jewel Stakes makes me think that Cease could be in the mix at a bit of a price. The seven-year-old gelding was good enough in years past to place second in the Hawthorne Gold Cup (gr. II) and third in the Woodward Stakes (gr. I), and while he hasn’t been at his best lately, he is showing signs of returning to form. Two starts back, he ran a close second to Transparent in an 8.5-furlong allowance race at Belmont Park (run in track-record time), and most recently, he finished a respectable fifth in the seven-furlong Bold Ruler Handicap (gr. III) at a distance that was probably too short for him. The stretch-out to nine furlongs should aid his chances (he did hold the lead at the eighth pole of the 2011 Breeders’ Cup Marathon! ), and he will have the services of top jockey Paco Lopez on Saturday.